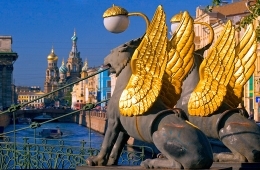 You can walk indefinitely through the streets of St. Petersburg, enjoying the familiar views and discovering new places. 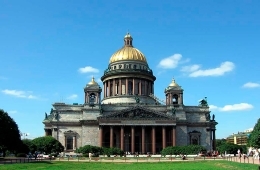 Coming to St. Petersburg, tourists first of all go for a walk along Nevsky Prospekt - the central street, along which there are so many historical monuments: Kazan Cathedral, Ekaterininsky Garden, Gostiny Dvor and much more. 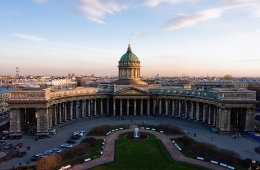 While walking along Nevsky Prospekt, we recommend you to visit the legendary Café of St. Petersburg - one of the oldest «Pyshechnaya» (on Bolshaya Konyushennaya str). The sign on the door says that «Pyshechnaya» has existed since 1958 and so far everything has remained here as in the times of the Soviet Union: “Pyshki” (Russian donut holes), sprinkled with powdered, coffee with milk from the pan, interior and atmosphere. «Pyshki is a traditional dessert» in St. Petersburg. 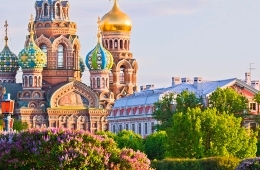 What is called «donuts» throughout the country, in St. Petersburg is called "pyshki". Soft rings in a golden crust are sprinkled with sugar powder. They need to be eaten hot. Traditional set is five rings and a cup of coffee. Believe me, you will eat them instantly. 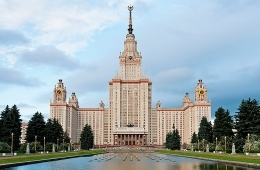 The place seems frozen in the Soviet past, like its staff, but it does not spoil it at all, but makes it more attractive. It is considered, that if you were in the northern capital and did not try this delicacy, then you did not recognize the "taste of Petersburg".